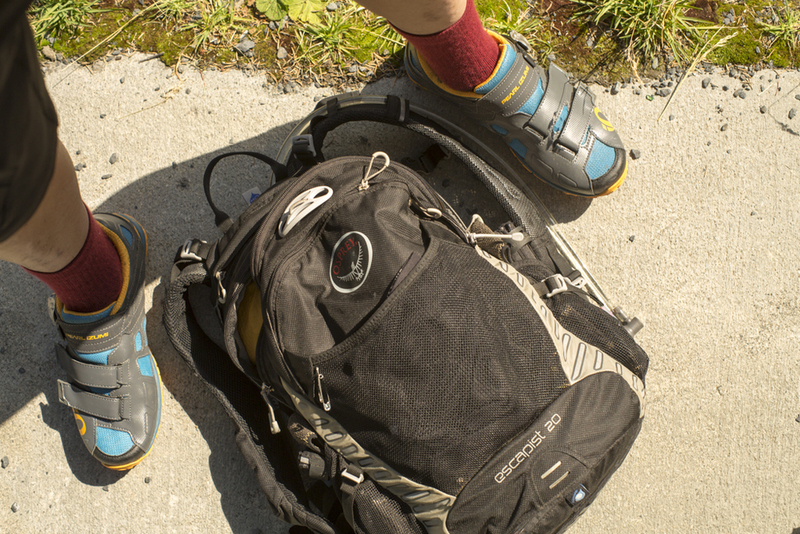 Osprey is our choice for packs while mountain biking and bikepacking. I'm alternating between the Escapist 20 and the Talon 22 and Tori is using the Raven 14 exclusively. This has become my favorite mountain biking bag. Origninally I thought it would just be may bikepacking pack, but I've found myself taking it around town or to Sandy Ridge. 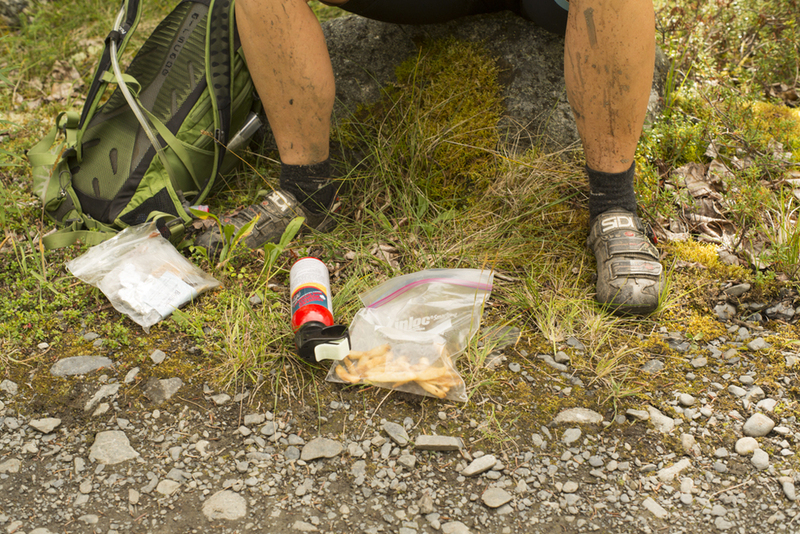 It’s the right size for me to bring everything I need, including 2 liters of water, food, outerwear, tools, tubes, pump. The best part is how it sits on your back without swinging. I know the Raptor is a favorite for many, but I feel like the Escapist 20 is a good size upgrade that will encourage people to bring the right amount of emergency gear without feeling like your pack is overstuffed. There is a good amount of compartmentalization, so you can have an area dedicated to clothing, another to food, etc. Folks from the rainy climates will appreciate the (removable) rain cover, which tucks into the zippered pouch in the bottom of the bag. On dry days I leave the rain cover at home and my tools and first aid kit go into that pouch. Hydration slides easily into a dedicated pocket. As usual the LidLock is a great feature when you need to secure your helmet, whether you’re ditching it on a hot, extended climb, or securing it while joining your friends for a pint at the bar. Only negatives on this pack are the lack of magnet for the hydration valve - I end up tucking the end into the small pocket on the shoulder strap. Not ideal, but it works. All things considered this is a great bag. The Talon 22 is a hit with the endurance racing crowd due to it’s light weight and decent volume. I love the outer quick stash pockets and large internal volume. My only complaint is a lack of compartmentalization, but that is clearly a design choice by Osprey and I find myself appreciating that spaciousness as I live with the pack. Aside from the one small top pocket that is good for food, tools, shades, it’s essentially just one large open volume inside. If you're looking for a light pack to fit larger items, this is a great choice. I use it around town for shopping as well. Those stretchy mesh outer pockets are perfect for fruit or other items that wouldn't quite fit inside the pack. It feels a good deal larger than the Escapist 20 to me. All in all a great bag and worth considering for bikepacking, backpacking, or just daily city use.